Are your video archives at risk? With decades of content sitting in tape archives, there is growing concern regarding the longevity of magnetically recorded tapes. With the perfect storage conditions – tapes can last for decades. However, with heat, humidity, and less than ideal conditions, magnetic tape longevity can diminish. The solution? Converting tape archives into file-based libraries. Transferring master tapes to a file-based format will not only protect their longevity but it will also make them easily accessible and a potential source of new revenue. 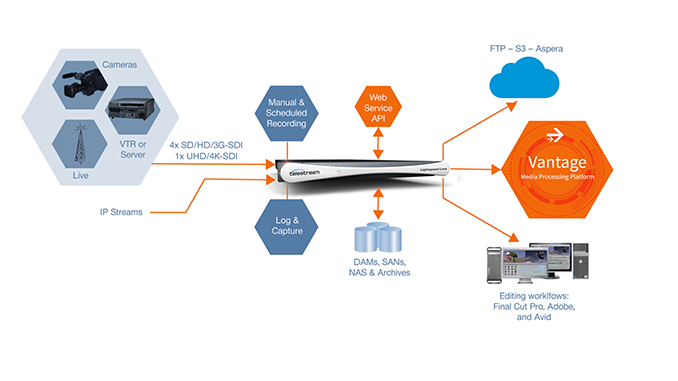 For content creators and owners with large tape archives, Lightspeed Live Capture simplifies the process of converting existing tape libraries to file-based formats. This increases the odds for better long-term storage and creates opportunities for further monetization. 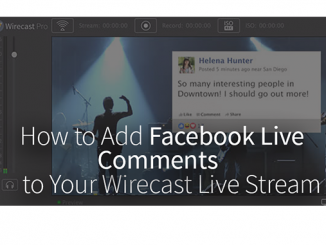 The newest features in Lightspeed Live Capture 2.0 are designed to assist with just this. Lightspeed Live Capture is the perfect tool for organizations that want to convert large tape libraries into a file-based form by automating the processes. “To do this cost effectively, it’s imperative to automate as much of the process as possible, including capture, analysis and QC, and conversion”, said Paul Turner, VP product management at Telestream. 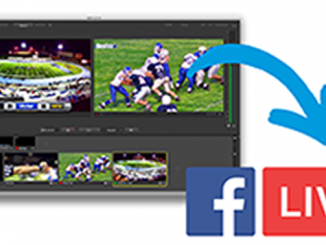 Created to provide the fastest possible tape ingest workflows, Lightspeed Live Capture now supports high-density log and capture. Lightspeed Live Capture also has the ability to control and digitize four tape decks at once from a single system. Lightspeed Live Capture is a 1RU appliance capable of simultaneously capturing 4 channels of HD-SDI, or 1 channel of 4K/UHD into any high-quality video format required at frame rates up to 60 fps. 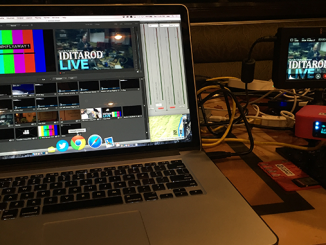 Although Lightspeed Live Capture can be used as a stand-alone device, the true power is realized when it is part of a complete Vantage workflow. Vantage enables automated capture, editing, transcoding, copying, and more. When used with Vantage Open Workflows, these processes start early – even as files are being captured (growing). Vidchecker Automated Quality Control software can also be run directly on the Lightspeed Live server, using Live Capture to verify video and audio quality, plus legality and correctness for a complete archival workflow. Lightspeed Live Capture also functions as a key part to any live-to-VOD workflow that includes Lightspeed Live Stream and Vantage. When planning to digitize a tape archive, there are many factors that should be considered: How long will it take? Will we use in-house resources or a contractor? Is the playback hardware available and how many decks will you need? How will VGI/VANC data and other metadata be preserved? What is the new storage medium and where will it reside? These answers reveal that streamlining the process is critical to keep costs down.